Benoit Viellefon, French singer and guitarist, fronts two of the leading vintage dance music ensembles at work in Europe today, hand-picked from among the finest musical entertainers in Europe. Monsieur Viellefon’s Orchestra and Hot Club are the hottest live outfits for all those who revel in the nostalgia and elegance of a bygone era, performing a repertoire consisting of the most beautiful and uplifting songs from the 1920s, ‘30s and ‘40s and originals in the same classic style. 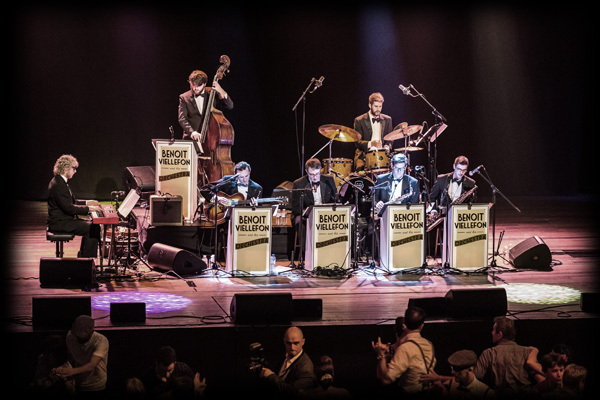 The Orchestra is in huge demand for major cultural events and concert hall performances, including headline slots at Glastonbury’s Jazz Stage, the Rhythm Riot Festival, regular appearances at the Royal Albert Hall, William & Kate’s Royal Wedding and a host of European tours. 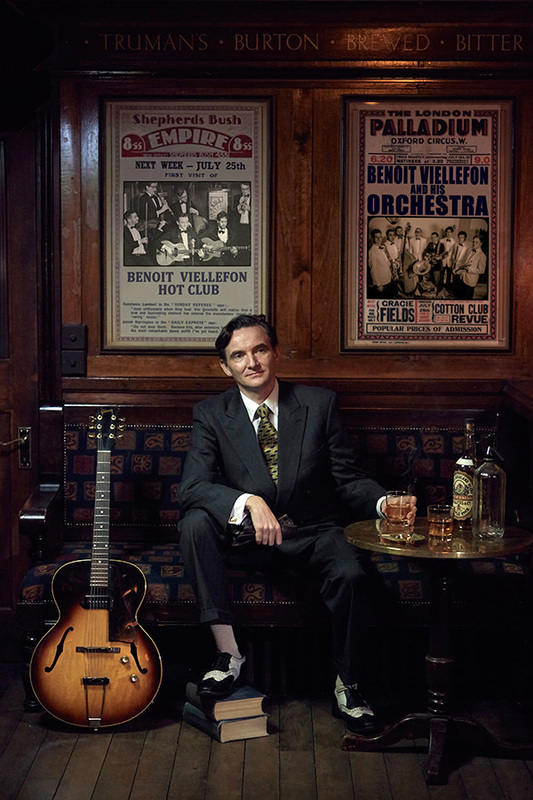 Benoit is also proud to present his all-acoustic Hot Club, an intimate alternative to the Orchestra for smaller venues and private parties. 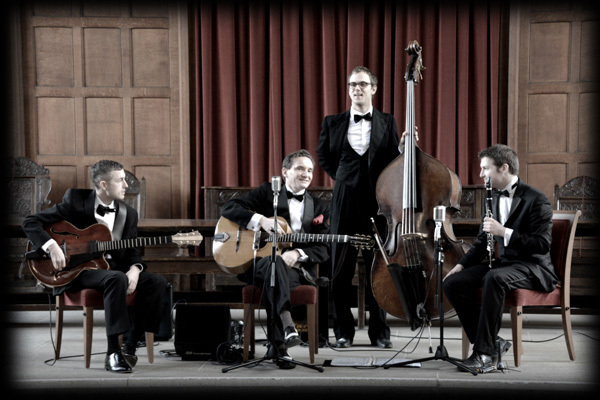 The Hot Club performs the best of gypsy jazz, French musettes, and timeless melodies from the pens of the master songwriters of the 1920s and ‘30s. Finally, Benoit is able launch his Trio in 2016. 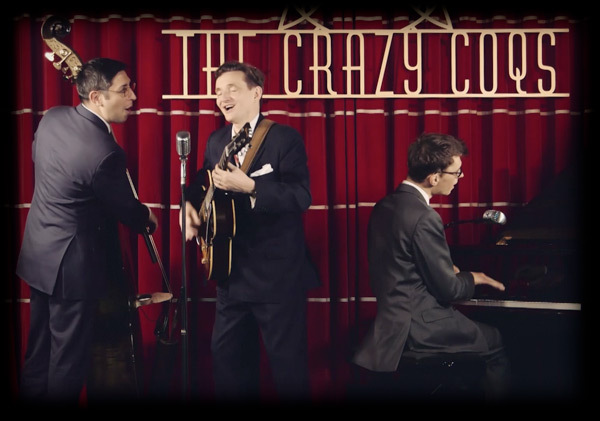 This truly international new outfit is comprised of Benoit with his signature French tinted vocals, playing a 1940's archtop guitar, USA's finest stride pianist Andrew Oliver, and the fantastic Argentinian import Eleazar Spreafico on double bass.